Michael Aronsky, MD – Kremer Eye Centers is a board-certified ophthalmologist specializing in corneal, cataract, and refractive surgery. Also, Dr. Aronsky is a graduate of Northwestern University’s Physician CEO program. 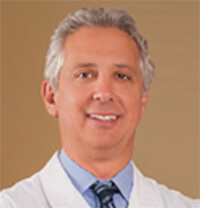 After graduating from the University of Pennsylvania, Dr. Aronsky obtained his medical degree from the University of South Florida College of Medicine. He then performed his internship in transitional medicine at St. Vincent’s Hospital in New York. His residency in ophthalmology was performed at the Friedenwald Eye Institute in Maryland, where he was appointed Chief Resident of Ophthalmology in 1997. Dr. Aronsky was awarded a one-year surgery fellowship to study corneal and refractive eye surgery at the renowned Case Western Reserve University and the University Hospitals of Cleveland. Dr. Aronsky has authored numerous publications, including chapters in major ophthalmic textbooks. He is a member of the American Academy of Ophthalmology, the Sports Ophthalmology Society of the Americas, the International Society of Refractive Surgery, as well as the American Society of Cataract and Refractive Surgery. Dr. Michael Aronsky was selected as a Top Doc in 2016 and 2017 by Castle Connolly and in 2017 by Suburban Life Magazine! Dr. Aronsky tells good stories about the early days of LASIK with the founding partner of his practice, Fred Kremer. If you’re a student of innovation and how it happens, listen to the episode to hear what Michael Aronsky, MD – Kremer Eye Centers feels is perhaps Dr. Kremer’s biggest innovation. In episode number 12, you’ll hear Dr. Aronsky talk about his background as an ophthalmologist, how he chose ophthalmology as a specialty, what it’s like to participate in the Physician CEO Program, what he learned and, lots of other topics. During my interview with Dr. Aronsky, it was fun to hear his stories, learn more about his background, witness his humility and learn from a person who has a true passion for his work. I also thank him for his kind words about our agency, Sightpath Creative. Check out this Episode of the Cognified Marketing and Selling Podcast on iTunes. If you like this content and wish to be notified when new episodes are created, fill out the form below. Don’t worry, no spamming. And if you have something good to say in the comments, have at it and leave one below. Thanks a lot for paying attention to my work, I’m truly grateful you stopped by. Also, thanks to Michael Aronsky for his time in creating some great content! With great insight, Dr. Michael Aronsky shares his personal experience on how to run Kremer Eye Centers as a business with a focus on the patient experience. Much to learn in 38 minutes from these 2 ophthalmology leaders. Targeted marketing, scalability, relationships with private equity investors are just examples of the Podcast topics which are openly discussed in much a fun spirit. And… of course, I thank Dr. Aronsky and Joel for pointing Surgiorithm’s value. Thanks for the kind words, Amnon. Surgiorithm is great!